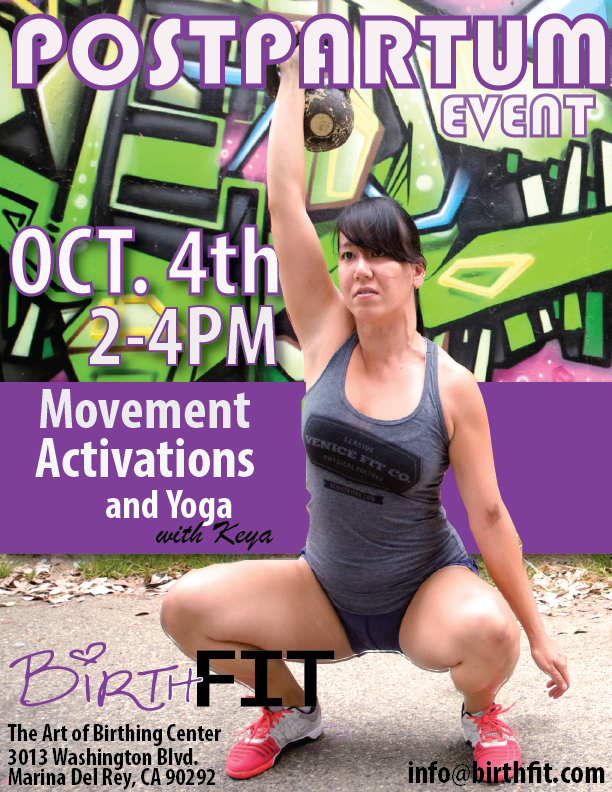 This coming Saturday Dr. Lindsey Mathews, DC of BirthFIT has teamed up with local yogi Keya to provide two hours of POSTPARTUM FOCUSED MOVEMENT at The Art of Birthing Center in Marina Del Rey. This is a donations only event, and all donations will go straight back into the birth center. This event is open to mothers that are 2 weeks to 6 months postpartum. Space is limited so reserve your spot. COME MOVE WITH US! 0 comments to " LOS ANGELES: BirthFIT Postpartum Movement Hour "